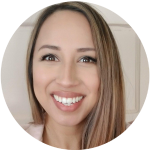 This is a guest post by Cora, a fellow minimalist mom, expert in kids capsule wardrobes and author of Creature of Joy. One time a friend of mine told me the back of her closet was filled with clothing that still had tags on them. This made me chuckle a little bit. Being the frugal minimalist I am, I couldn’t understand how you spend time and money shopping for something and then never use it. Then a few weeks later while going through my own closet, I found not ONE but TWO tops with tags still on them. I bought these tops months ago! I was so surprised. Needless to say I ate my slice of humble pie that day. Action item: How many items in your wardrobe still have tags on them? Take a moment to be real with yourself. Knowing how many unloved items are truly in your wardrobe can be really insightful. Retail therapy: Enjoys the bliss and high of retail therapy. Shops for feel not need. Impulse buying: It’s love at first sight at the store, then the romance fades once the items are home. Take, then test: Buys clothing to test out in the comfort of their own home and/or alongside other pieces in their wardrobe. Intends to return what isn’t wanted but often misses this step. Guilt and Gluttony: Regardless of whether they are indeed buying in excess or not, sometimes guilt will kick in when they take their new purchase home so they leave the tags on and avoid enjoying the items in effort to avoid feelings of guilt. No, I don’t mean long walks on the beach or candle lit dinners. I mean taking the moment to guess the length of time you’ve owned the various items in your wardrobe. If you own a lot of clothing purchased recently this could be an indication of problems similar to what was listed above. On the flip side, maybe most of your wardrobe was purchased 8 years ago. This can be revealing as well. Maybe 8 years ago, you became a mom and concern for your style became less of a priority. Maybe 8 years ago, you lost a lot of weight and now you’re not sure how to dress for your new figure. Action item: How long have you owned most of your clothing? Business or Casual? Tops or Bottoms? When you take your first look into your wardrobe do you notice what are the first things you notice? Action item: What types of items dominate your wardrobe? 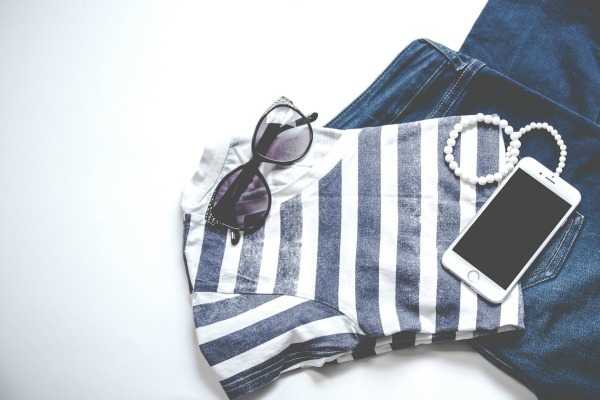 Taking note to which items are dominate your closet will reveal not only which items are in surplus and which items are lacking but it can also reveal more about your wardrobe collecting habits! You have an easy time finding tops which flatter you therefore many of them come home to your collection. You have a difficult time finding tops you like so you’ve “sampled” a variety of types over a period of time. Use your observations to learn about your wardrobe habits. 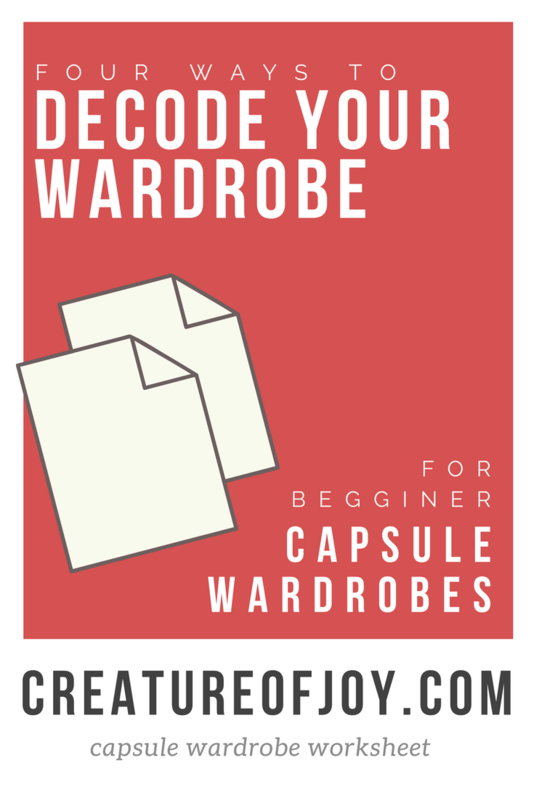 If you know these now you will be strengthening ability to create and maintain a capsule wardrobe. Whether you feel quite certain you know what your style is or whether you feel completely lost, assessing the versatility in your closet can give you clues about your style tendencies. The items you find most versatile are often also the items with the most potential to be your “base” or “foundation” capsule wardrobe items. As you go through your wardrobe to minimize and eliminate the unwanted items create a special pile for versatile items (if you enjoy wearing these). Knowing what these are early on can set the standard for the rest of the minimizing process, making it easier to let go. Action item: Asses how versatile your wardrobe feels. How many items would you consider part of an everyday look? This includes work attire. How many items would you say are specific to only 1 outfit. How many items pair well with the rest of your wardrobe. 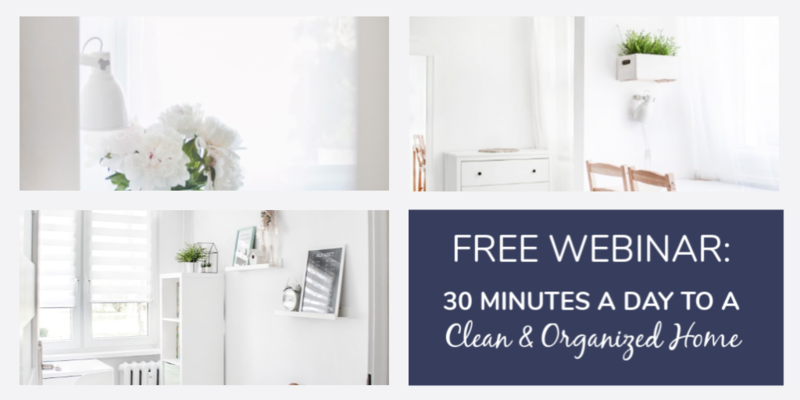 Get Your Free Closet Decoder Today! You can learn more about Cora and her methods by signing up for updates at Creature of Joy. 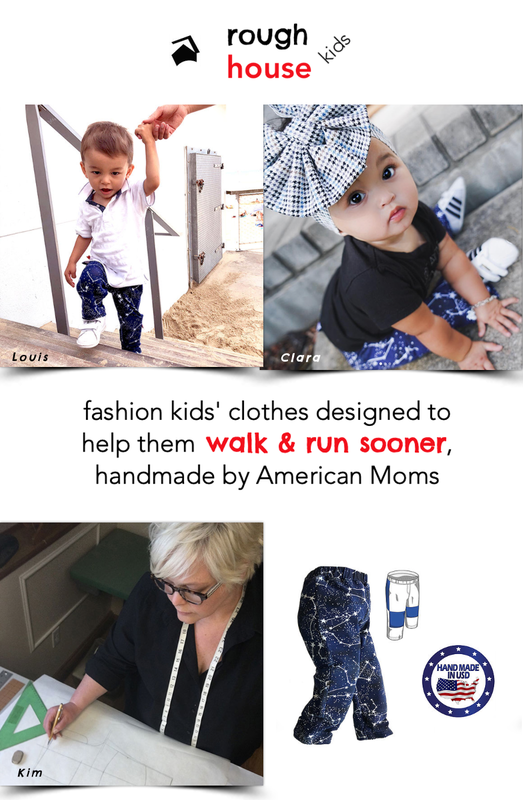 Cora is a minimalist mom, an expert in kids capsule wardrobes and author of Creature of Joy. Great insight and what a way with words!! You are a wordsmith!